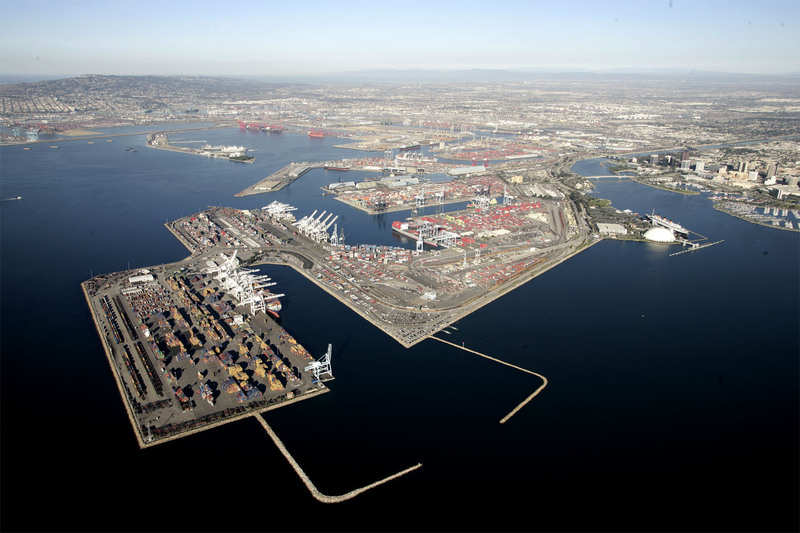 Cargo volumes dropped by 6.2 percent last month, the Port of Long Beach (POLB) announced today. They attributed the drop in volume to theaftermath of the Hanjin bankruptcy filing settlement. A total of 581,808 twenty-foot equivalent units (TEUs) were moved through the port in October with exports down 1.2 percent in 126,770 TEUs. Total imports last month were down 3.7 percent in 296,711 TEUs while empty containers experienced the largest drop at 13.8 percent to 158,327 boxes, according to POLB officials. Hanjin Shipping containers accounted for 12.3 percent of the port’s containerized volume in 2015. In the fallout of the Hanjin bankruptcy, POLB leaders acted recently to clear empty containers to speed the flow of cargo through Southern California’s supply chain, port officials said. September saw the worst of the fallout of the bankruptcy to date, as cargo volume dropped to a near 17 percent due to reduced calls from Hanjin-operated ships and an absence of Hanjin container vessels operated by fellow CKYHE Alliance members, the Post previously reported. Last year’s cargo volume was deemed by far the best in the port during the eight previous years, with cargo growth increased by the end of 2015, POLB officials stated. Former POLB CEO Jon Slangerup stated previously the cargo volume for 2015 was up more than five percent than previous years.